Hillsdale Preparatory School encourages every family with a desire for a higher-quality learning experience to enroll their children for the upcoming semesters. In order to facilitate that process, we have a number of requirements and set policies concerning all potential students, which are addressed below. We encourage you to review them then contact us to discuss and explore any questions and put your child on the path to academic and personal achievement. Section 504 of the Revised School Code states that public schools shall neither charge tuition nor discriminate in pupil admissions policies or practices on the basis of intellectual or athletic ability, measures of achievement or aptitude, status as a handicapped person, or any other basis that would be illegal if used by a Michigan public school district. School enrollment shall be open to all individuals who reside in the state of Michigan. A public school shall not enroll a pupil who is not a Michigan resident - with the exception of foreign exchange students who are not citizens of the United States. School admissions may be limited to pupils within a particular age range/grade level, or on any other basis that would be legal if used by a Michigan public school district. The school shall accept applications all year. If openings occur during the academic year, students shall be enrolled. If openings do not exist, applicants shall be placed on the official waiting list. The waiting list shall cease to exist at the beginning of the next application period. The school, being an equal-opportunity, educational institution, shall be committed to good-faith affirmative action efforts to seek out, create, and serve a diverse student body. The school shall allow any pupil who was enrolled in the immediately-preceding academic year to re-enroll in the appropriate age range/grade level unless that grade is not offered. The school shall notify parents or guardians of all enrolled students of the deadline for notifying the school that they wish to re-enroll their child. An enrolled student who does not re-enroll by the specified date can only apply to the school during the application period for new students. The School Board may establish a policy providing enrollment priority to siblings of currently-enrolled pupils. However, the School Board may not provide a preference to children of Board members or school employees. If the school board has a sibling preference policy, the re-enrollment notice must also request that the parent or guardian indicate whether a sibling(s) seeks to enroll for the upcoming academic year. If space is unavailable, the school must develop a waiting list for siblings of re-enrolled students. The school shall notify applicants not chosen in the random selection drawing that they were not selected and that their name has been placed on the school’s official waiting list to be called if any openings occur during the academic year. Students shall appear on the official waiting list in the order they were selected in the random selection drawing. The lunch program of Hillsdale Preparatory is structured around our 8 character pillars. Students are held to high expectations. Students are to use a quiet voice, learn to take turns speaking, and not talk over other students. Students are to remain seated at all times. Student helpers will assist children who are raising their hand. Students are encouraged to bring a nutritious lunch and soft drinks are not allowed. 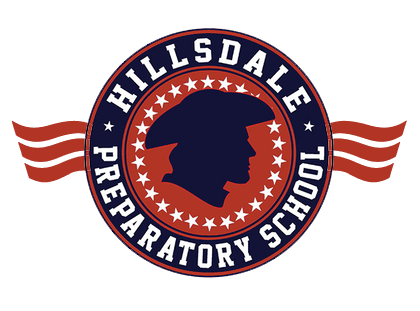 If you have further questions concerning enrollment at the Hillsdale Preparatory School, please contact us at (517) 437-4625. We’ll be happy to discuss any queries you have in greater detail.